The catalog "VOLVO CONSTRUCTION Spare parts" of our online parts store, we are able to offer the original and afermarket (Replacement Volvo parts or Aftermarket Volvo parts) Volvo CE spare parts (Volvo CE parts) for the entire range of Volvo Construction Equipment and Volvo Construction systems. The range of equipment manufactured by Volvo like as spare parts for Volvo construction equipment that we supply, you can divided into four categories: Bus (Volvo Bus), Trucks (Volvo Track), Construction Equipment (Volvo Constuction parts - Volvo Construction Equipment spare Parts, Volvo CE spare Parts) and Volvo Marine (Volvo Penta). 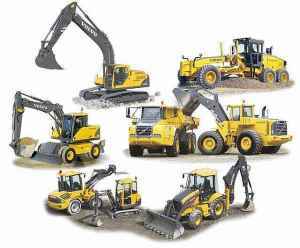 • Spare parts for Volvo excavators (EXC) - EC130, EC140, EC150, EC160, EC180B, EC220, EC210, EC230, EC240, EC280, EC290, EC300, EC340, EC360, EC450, EC460, EC620, EC650, EC700B, EW130, EW140 , EW150, EW160, EW170, EW180, EW200, EW210C, EW230, FC2121C, FC2421C, FC2924C, FC3329C.